Before his return to pinball as a designer for Jersey Jack Pinball, it seemed as if Pat Lawlor was done for good designing pinball machines for mass production. After a somewhat nasty split with Stern Pinball, pinball fans hoped for the day when Pat would find a way to return to game design. And for Jersey Jack Pinball’s third game, Pat Lawlor found his way back. 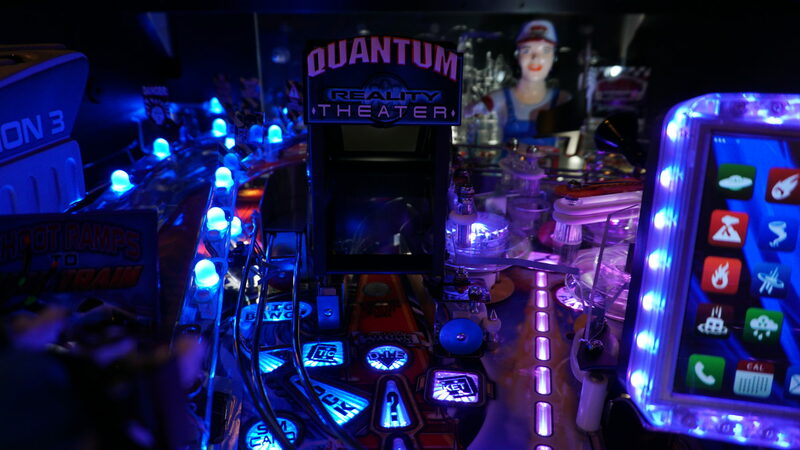 For decades Pat Lawlor has designed some of pinball’s greatest machines. A small sampling of his hits include: Banzai Run, Earthshaker, Whirlwind, The Addams Family, Twilight Zone, SafeCracker, No Good Gofers, and Ripley’s Believe it or Not! Pat Lawlor’s games have not only been praised by players, but they’ve earned well on route and sold in big numbers. 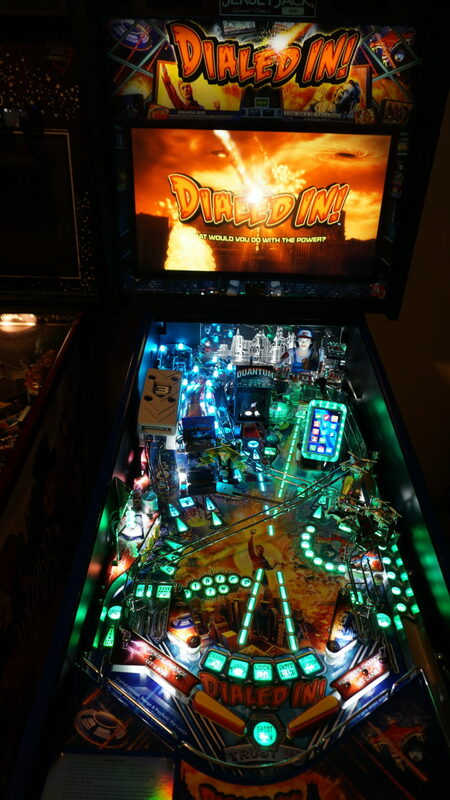 When Dialed In!, Pat Lawlor’s first game for Jersey Jack Pinball, was unveiled, it was met with a pretty odd mix of enthusiasm, confusion, and even some ridicule. The layout looked solid, the art was nice and colorful…but there was that dude in dad jeans holding up a cell phone. Paired with the name of the game, everybody assumed that we were looking at a game based on cell phones for its theme. With today’s quirky collectors, a narrative quickly was stirred up that the theme was a major misstep and JJP and Pat Lawlor were totally out of touch with today’s trends. Dialed In! (DI) is actually another disaster theme game, much like some of Pat Lawlor’s classic games (Whirlwind, Earthshaker). The cell phone does play a central part in the plot, but it’s more of a plot device than a point of focus. The game is actually about Quantum City, a place known for advanced technology, powerful corporations, and a sense that things are just not quite right. Dialed In Electronics (D.I.E.) loses a prototype cell phone that is capable of controlling more than just a few phone calls and apps. Our protagonist comes across it practically by accident, and when the phone’s features are unlocked, the story begins to unfold as you play. The game’s basic progression is classic Pat Lawlor. Qualify your mode through shots (in this instance, the electric company’s mascot), start the mode at the scoop, and hit a series of shots to complete the mode. Play all the modes to unlock a wizard mode, complete all modes (and collect a SIM card after each mode) to reach the game’s ultimate wizard mode. If you’ve played The Addams Family or Twilight Zone, this pattern is pretty familiar. Obviously there are plenty of additional modes, multiballs, hurry ups, and things to explore that enrich the experience. Fairly straightforward, but packed full of things to do, DI has tons of meat on the bones for either the home owner or the location player. The layout is what really makes Dialed In! shine. 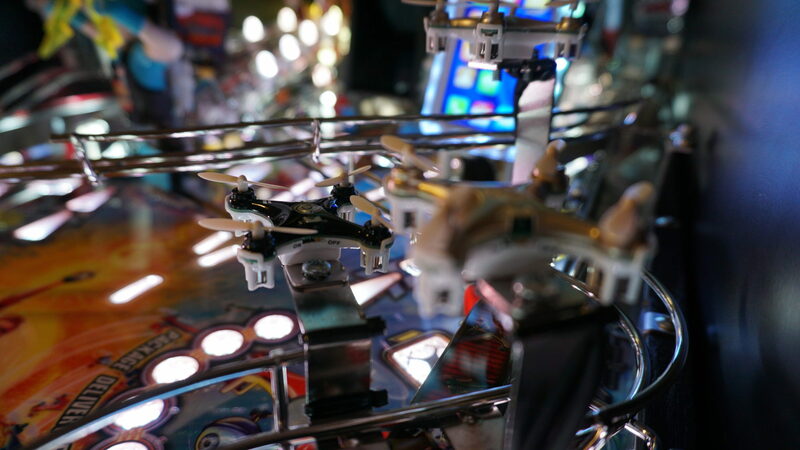 Crossing ramps, a side ramp, a scoop, a trap door, a pop bumper nest, a hologram shot, magnets, stand ups, diverters, two scoops, an orbit, a loop, a roving target, and basic upper playfield all highlight a game that is packed full of features and shots. Somehow, Pat Lawlor fit all this stuff into a standard body game while maintaining buttery smooth flow and good ball visibility. The man is truly a mad scientist. Playing DI is a mix between flowing shots one from another with classic sharpshooter elements. Some modes demand alternating ramps, others demand precise shots to targets, while some look for repeating a single shot with regularity. Some modes are fairly easy to complete (Meteor Strike), while others will test your abilities quite a bit more (Alien Invasion). As I’ve played myself and watched others play, the game does a great job offering a challenge for skilled players while allowing newcomers to see cool features and enjoy the game on a more basic level. The light show on Dialed In! is nothing short of beautiful. Like JJP has done with Wizard of Oz and The Hobbit, the game features full RGB LED lighting throughout, and it makes great use of colors, varying brightness, and flash effects. Even the game’s flashers will take on rotating colors to give a sort of beacon-looking effect. The lighting in DI does a great job indicating shots, making modes feel distinct, and just making the game feel more dynamic overall. The music and sound effects are also great. Crisp and clean with lots of variation, it’s hard to find games that do it much better. What does leave something to be desired, however, is that many of the call outs are limp, delivered with odd pacing, or aren’t quite as helpful as they could be. Many of the call outs, especially from the news team and the people who call your phone, are quite funny and are delivered in a dry manner that takes some attention to fully soak in. It’s expected that many of the call outs will be updated as the game code evolves. Speaking of game code, Dialed In! shipped in a very complete state. 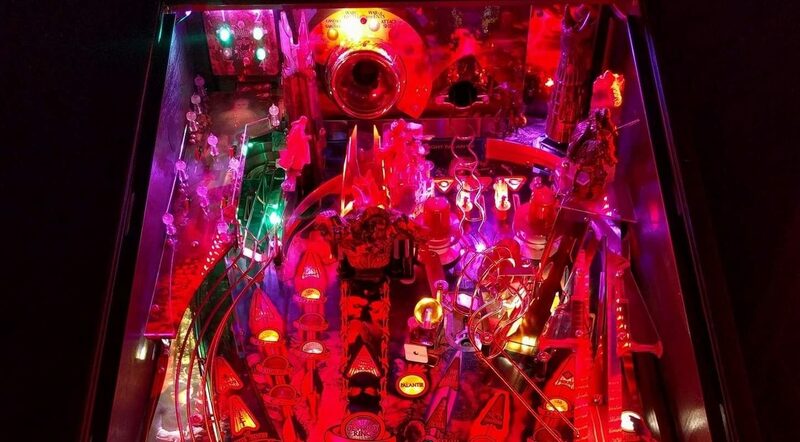 Ted Estes, Keith Johnson, David Thiel, and everybody else at Jersey Jack Pinball really got everything in line in regards to rules, visuals, music, and sounds before pushing the game out to the public. There are small things to clean up or stuff to enhance, but it’s been quite a long time since a pinball company delivered a game at launch that could so readily be declared code complete. DI was not shipped before it was ready, and it’s quite refreshing to see all modes in place on day one. And while I still adore Ghostbusters, well over a year from release, that game is still missing features and has a long list of bugs that need to be fixed. The code is a definite throwback to the mid-1990s era of pinball. It’s pretty easy to figure out how to advance in the game, but there is some depth and strategy if you know how to dig for it. A few hundred plays in, I’ve yet to exhaust all that Dialed In! currently has to offer. 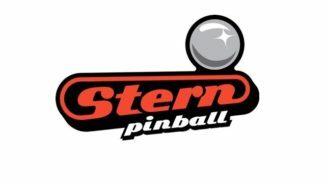 I don’t know what might be in store with future updates, but Jersey Jack Pinball and Pat Lawlor really scored a big win here with what we already have. I’ve become more and more weary of buying pinball machines new in the box given how bumpy the road has been with recent releases, but I have zero regrets at this point with DI. It’s a shame that “regret factor” has to be part of a pinball review, but these games are skyrocketing in price, so it’s definitely a real concern. Priced at $8,000 for the standard model, at $9,000 for the Limited Edition, and $12,500 for the Colletor’s Edition, none of the trim models come cheap. Thankfully, gameplay is identical between all three models and all differentiating factors are purely cosmetic. When it comes down to it, Dialed In! has the makings of a classic. 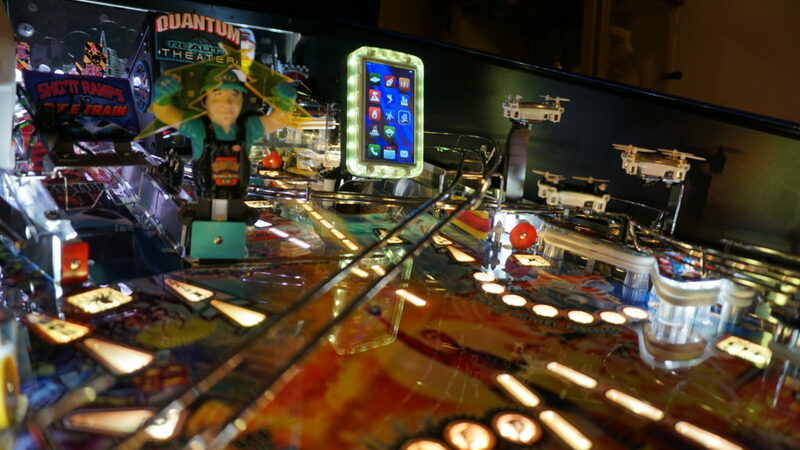 Pat Lawlor has proved that he’s still the best in the business when it comes to using a pinball machine’s real estate and tying a packed playfield to fun, challenging, yet approachable rules. While Twilight Zone and Attack From Mars still rule as my two favorite games ever created, I can see Dialed In! making a strong push towards the top of my list as time goes by. Not perfect by any means, but as fun to play as anything else I’ve seen in years, Dialed In! 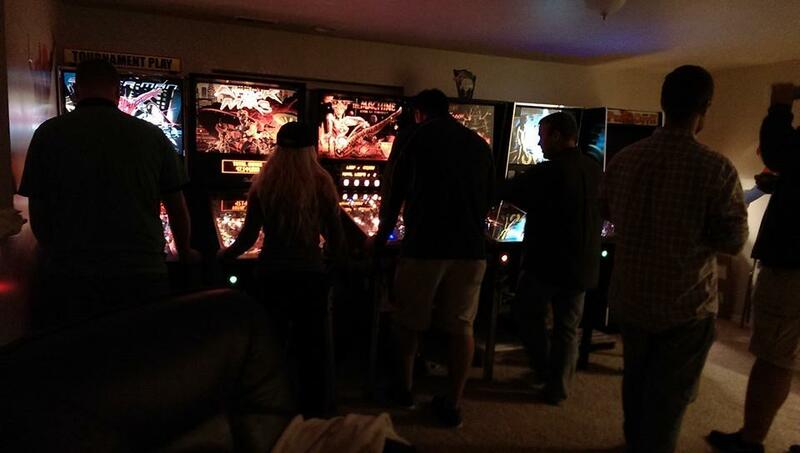 is something that pinball very much needed. Oh, and for those still unsure, DIALED IN! IS NOT A GAME ABOUT A CELL PHONE. Sheesh.